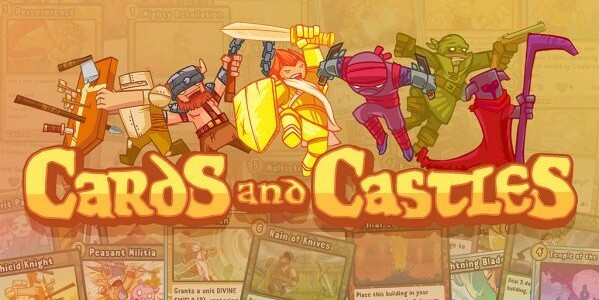 Now that you know something about this awesome game, I decided to reach out to the developer to hear a bit more the team behind Cards and Castles. Today I am speaking with Matt Siegel, our lead developer over at Bit Mass. A. Bit Mass is an indie studio founded in San Diego by friends and industry colleagues who wanted to make this game. Q. What was the inspiration behind the game? 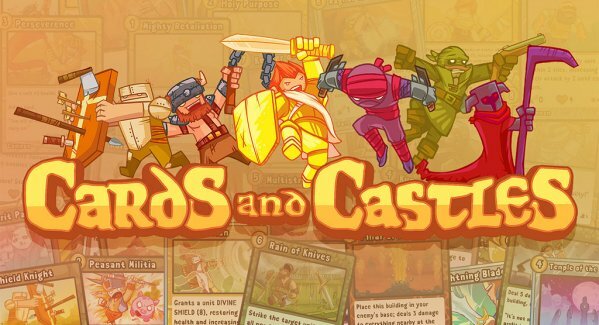 A. We’re most heavily inspired by Hero Academy and Magic the Gathering, and we really wanted to break away from the tabletop format of most digital CCGs and really explore what could be done uniquely in the digital world. Q. Can you tell us a little about the game, specifically the following areas? A. Daily quests are a fun way to earn a lot of card points by completing some simple gameplay goals. The quests are designed to fit naturally into how players would already be playing the. A. Scenarios are non-repeatable single-player event matches that offer great rewards! A. Draft mode is a way to compete with other players in a non-constructed format. Instead of building a deck from their collections, all draft participants instead build their deck from a sequence of random choices. A. Card points are the in-game currency you use to play drafts and buy card packs. A. Bit points, which have been renamed to Silver Points in our massive August 13th update, are our premium currency. They’re mostly used as an alternative to card points, or to buy more specialized card packs. Q. A major question – Can folks play the game and do well without spending any real money? A. Yes, all cards are available without spending any real money! Player’s have a chance of pulling any card in the game, except the starter set, from the normal boosters. Q. How many people are playing the game? A. We’ve seen peaks over more than 50,000 daily active users, and are close to hitting 1 million downloads! Q. Any other games in development? A. Nope, we are wholly focused on making Cards and Castles totally awesome. Q. Ok, my final question, what games do you guys like to play? A. SMASH BROS! My favorite version is Smash Bros Melee. We also like Mario Kart, League of Legends, stuff like that. We’re social gamers at heart and we love to compete! Well thank again Matt for the time and an awesome game. Hope you enjoyed this post. Until next time.